Functional Training Services works with qualified job seekers to attain employment goals based on their individualized interests and abilities. We offer proven, outcomes-based job search strategies and support to meet the job seeker’s unique needs. Whether you need help with interviewing or utilizing competitive job search strategies, our Job Development experts can help. We provide continual support to consumers as they enter the workforce. Services range from orientation and onboarding support to mastering job responsibilities and acclimating to the culture and professional interactions. We place qualified job seekers in a wide range of professional fields. Positions range from entry level to middle management and beyond. 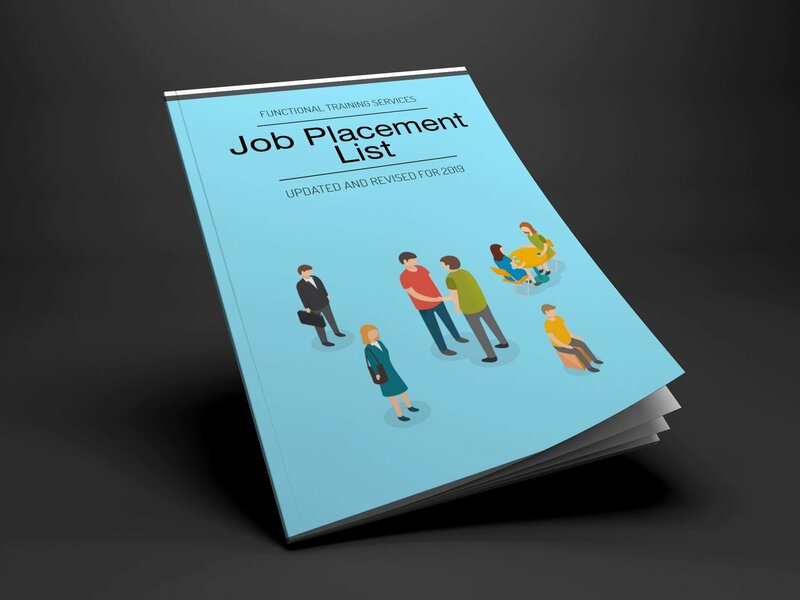 Actual placement is contingent on the job seeker's individualized job goal. We place qualified job seekers in a wide range of fields. Positions range from entry level to middle management and beyond. Why do I need assistance in establishing or re-establishing my career? All job seekers, regardless of whether or not they have a disability, benefit from accessing appropriate resources during an active, competitive job search. This is especially true in an employer driven market. You are more likely to experience success when you surround yourself with expert support. What services do I most need? Vocational rehabilitation specialists at FTS work collaboratively with you as well as vocational rehabilitation counselors with Opportunities for Ohioans with Disabilities (OOD) to identify which programs and services best meet your immediate and long-term needs. With your input, a plan is created and FTS follows your approved plan. Ultimately, you, or your guardian, are the decision-maker throughout the provision of programs and services. How do I know if I qualify for FTS programs and services? You are welcome to contact FTS for more information at 614-262-9669 or info@ftsjobs4u.com. Our staff will then refer you to one of our partner agencies to determine if you qualify for program participation. Find out more about OOD programs, eligibility, and services by visiting their website HERE. How long will it take for FTS to place me with a Central Ohio Employer? FTS is not a staffing agency. We do not place people in available jobs. Instead, we utilize a combination of job search expertise and employer contacts to attain the agreed upon employment goal. The length of any participant's time in a program depends on a variety of factors, including individual needs, skill set, level of engagement, labor market fluctuations, job demand and more. Placement is not guaranteed, however, FTS has a proven track record in assisting job seekers to secure viable employment that contributes to both independence and self-sufficiency. Please feel free to contact FTS at 614-262-9669. We are happy to assist you!